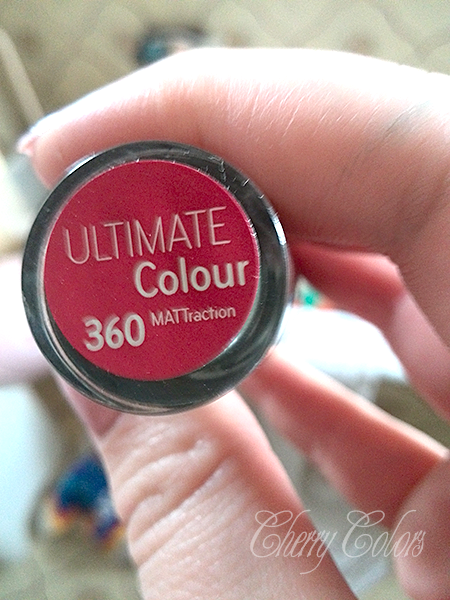 Catrice 360 lipstick - MaTTraction - Cherry Colors - Cosmetics Heaven! I really wanted to show you my next in line favorite lipstick (first one is this). 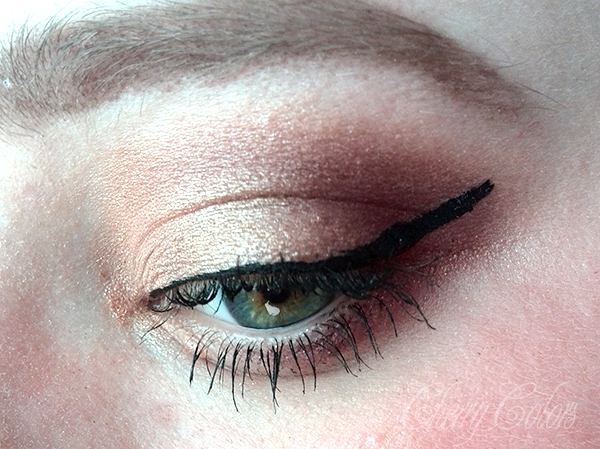 It is called MATTraction by Catrice, and since I am all about matte lipstick, this is where I dance. Also, it is completely Mateja's fault I got it. I picked it up at the Cosnova 2014 Event, because she was wearing it (and this girl was rocking it, daaaamn!). 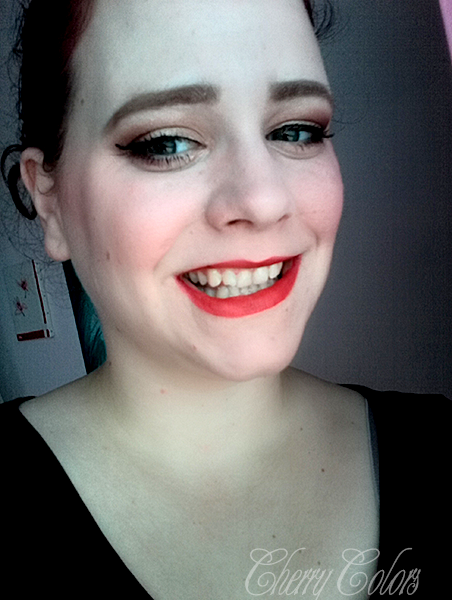 This lipstick is of a red color, with a pink undertone. Makes sense? No, but it looks great! On lips, because.. Lipswatch, that's why. 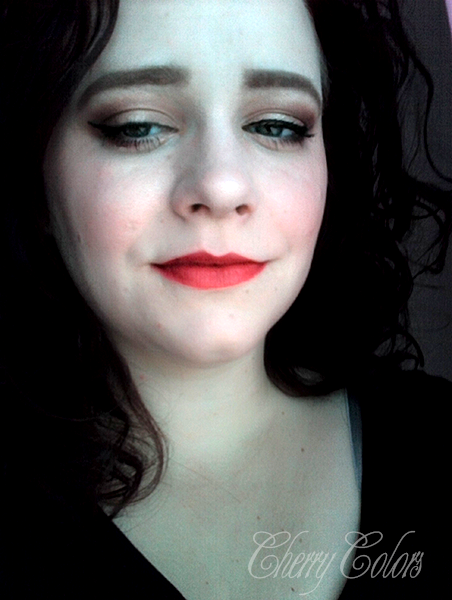 I created a little make up just for this lipstick. Very neutral, but it goes well with it. 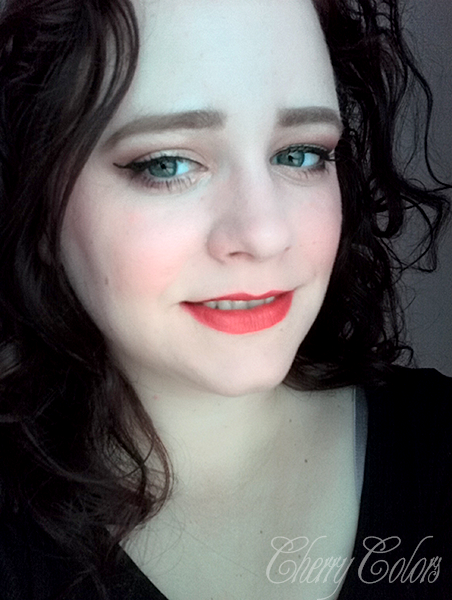 Anyway, the lipstick is absolutely fantastic! I love that they did fix the formula a bit and now it feels nicer on the lips (not so drying out, without actually drying out your lips). Have a great day! Lip-tastic day ;).